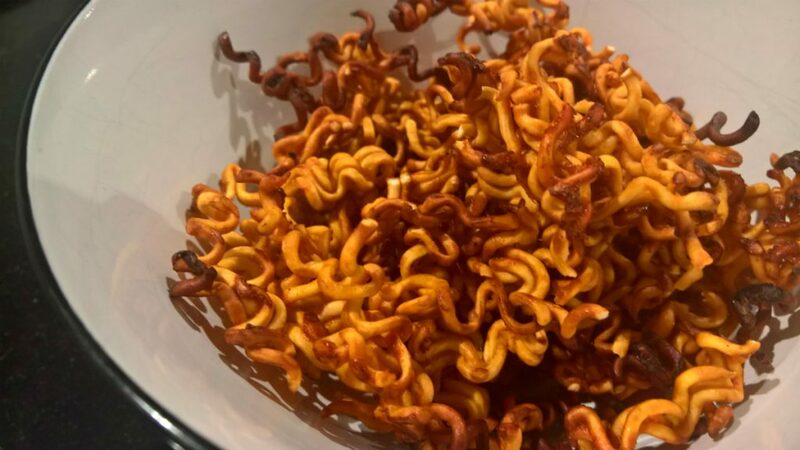 So as you guys know I chucked up a recipe for toasted fire snacks a little while ago; I actually made them again using Nuclear Fire Noodles and they were a lot better! But what I wanted to try with this one was a different method of cooking them to see if the heat can be more evenly spread. It’s pretty basic so if you can’t follow the instructions I don’t even know how you made it this long on this earth. So here we go. 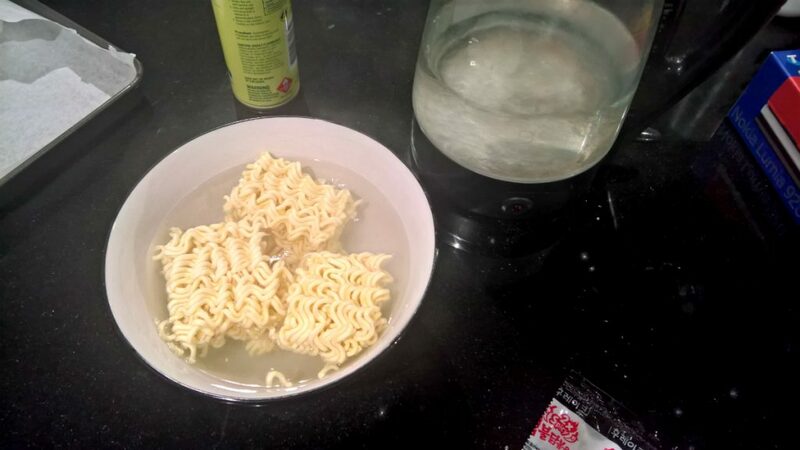 Step 2: Cook your noods in some boiling water until soft. Step 3: Drain and add the sauce sachet. Mix like crazy. 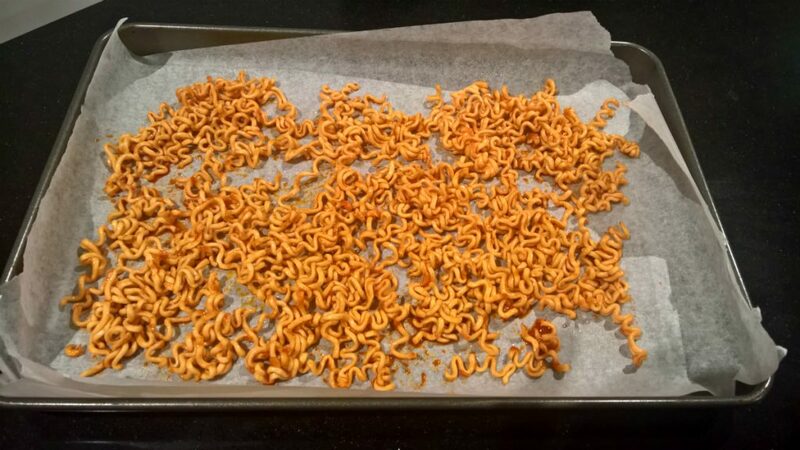 Step 4: Spread the noods out on a lined and greased baking tray. 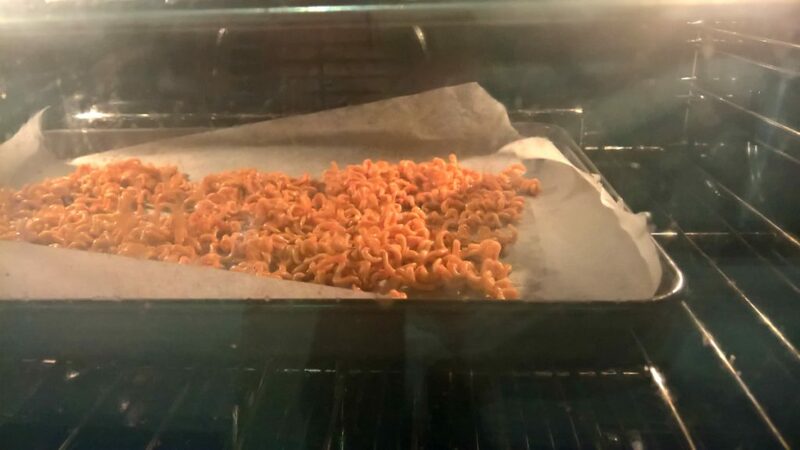 Step 5: Spray the noods with the oil and pop in the oven for 15 minutes. Delicious! They basically turn out the same as the last ones except the death is more evenly distributed for a consistent heat. The Bits are smaller (that’s what she said), but that’s ok; you can just chuck a handful in your mouth at a time. Mmmm. Tasty tasty death. Just make them. Now. 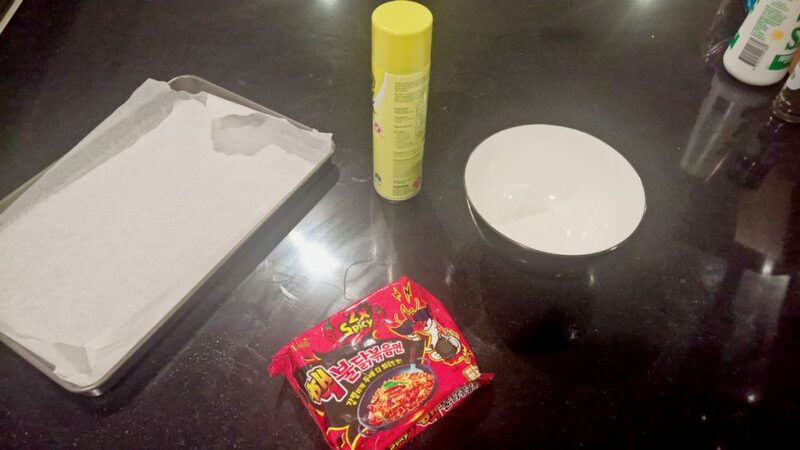 You can actually use any noods; try your favourite packet! 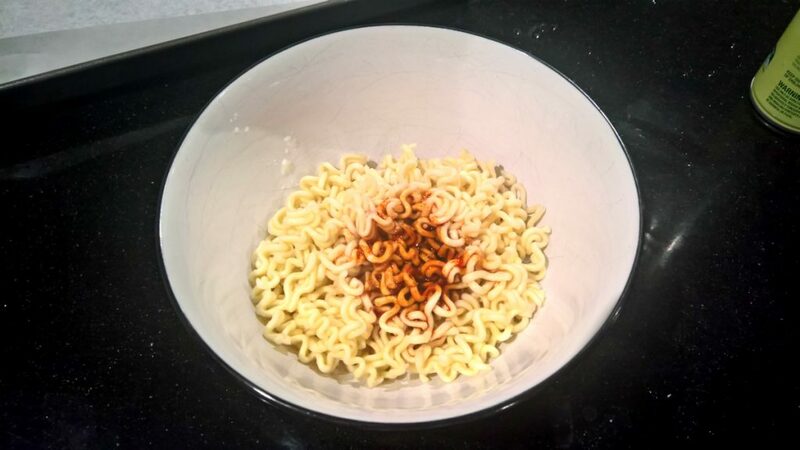 But I recommend using the Nuclear Noods; go hard or go home.